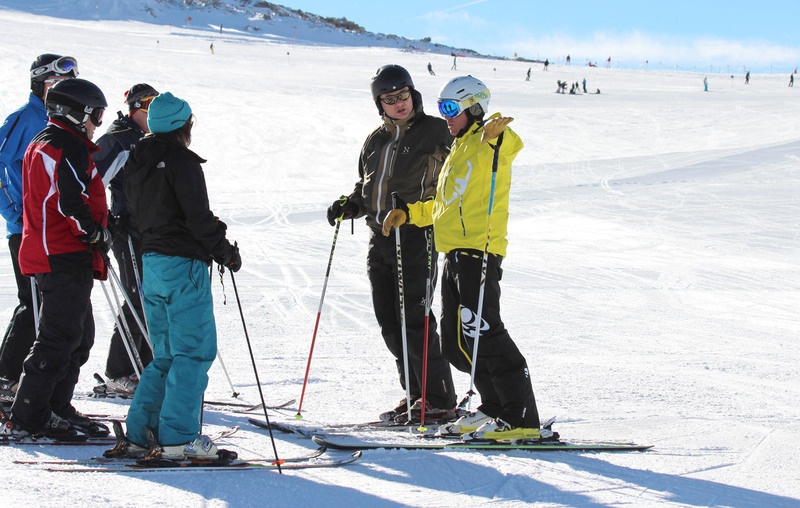 We run adult ski coaching groups in Chamonix and group ski lessons for juniors. On selected dates and according to demand. Look for blue dates in the booking calendar (Group sizes minimum 4, maximum 8). We also offer private lessons in Chamonix. Our junior group ski lessons in Chamonix operate during the main school holidays. Running for 3hrs each day for 5 days. We can schedule more groups according to demand with flexible durations between 3 and 5 days (just let us know). Ages range from 6 years and upwards (We cannot accommodate under age 6 in group ski lessons without prior appointment). Red Group: These groups tend to be regular visitors to us, and can ski the whole mountain keeping parallel skis through the turns. Those who have skied with Freedom Snowports, or other British ski schools before. May have gained ski federation 6 to 7 star awards in their previous lessons. French ski school equivalent lesson awards are 2 to 3 star. Awards not required to attend. To attend academy sessions in Chamonix, skiers must have previously attended our junior red group. Adult ski coaching groups in Chamonix run according to demand, so if you can’t see a session scheduled. Let us know that you’re interested, so that we can get one scheduled. Groups require a minimum of 4 people to operate. So dont hang back, get it booked. In the unlikely event of low numbers we will offer a refund, re-schedule, or exchange for a service at an equal value.